Nowadays everyone knows term HVAC, which is basically a control system which stands for heating, ventilation and air conditioning system in brief and this system works on the principle of heat transfer, fluid mechanics and thermodynamics. It’s clear that each of us wants to have their HVAC system in a healthy condition in order to keep cooling and heating the building. For providing a proper operation to you AC, the most recommended system is considered Los Angeles AC repair service as otherwise the system may cause a huge repair bill. So, always call Los Angeles AC repair service not to have any problems further. An HVAC system comprises of boiler, oil-fired furnace and heat pump. All these elements must be checked-up once a year, while gas fired equipment for cleaner operation needs a check-up at least once in every two years. While performing a system check-up a technician will have a routine check for rust, dirty filters and soot. all these items will be cleaned by him and if necessary will also be replaced. In case of hot water and forced air boiler HVAC system, a technician will do a maintenance check for pumps, blowers, pipes, radiators, gas meter, oil tank and fuel line. Besides these, he will check the heating boiler, furnace, carbon monoxide level and sufficient draft by using smoke pencils. A forced HVAC system comprises of blowers and a technician will always check the blowers by lubricating the cleaning fan blades, axel and removing dust particles from the fan motor during the routine maintenance check-up. All these must be done in order to check the motor is overloaded or not. After he has inspected the fan motor, he will check the fan belt and the ductworks in order to be sure whether it is purely sealed in heated areas or any leak has been there. In case of hot water system, a technician will check the system by draining the expansion tank and lubricating the pump. He will also check the ductwork for not-heated areas to confirm that is insulated properly. Ducts are one of the main elements of an HVAC system and these are used to deliver cooling and heating in the whole house. Ductworks mean moisture will come and thus it will become a breeding ground for the germs. Air filters may prevent dust in ductworks but it can’t remove microscopic bacteria which are harmful to the human body. Hence, to retain the ductwork in healthy condition maintenance is needed in a regular manner and during the maintenance a technician will fully clean the whole ductwork. As a conclusion, it can be said that regardless of an HVAC system model, a regular check-up is always necessary to retain it in a healthy condition and to remain safe from huge repairing bills. 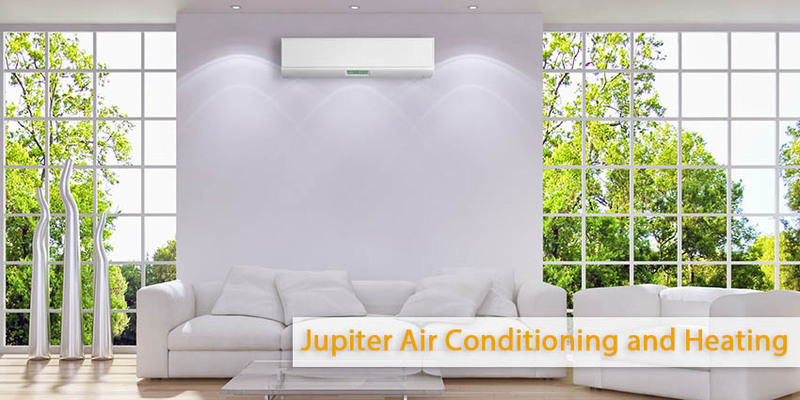 In this regards, Jupiter HVAC Inc is the best air conditioning repair company in Los Angles which ensures top quality services.